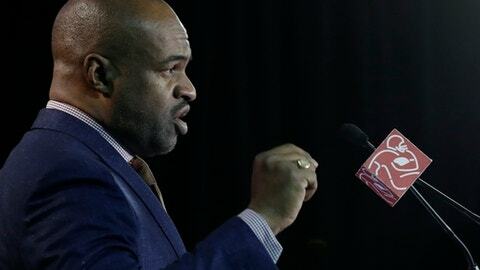 BLOOMINGTON, Minn. (AP) DeMaurice Smith dismissed with one word a question about his union’s labor deal with the NFL being extended. NFLPA President Eric Winston stressed there are many portions of the current contract they believe need changing, from health care issues to the union’s role in overall league decisions to, naturally, revenue splits. But Giants linebacker Mark Herzlich, who missed the season while injured, said Kaepernick had an effect on his peers.